The Millennial generation is self-absorbed, narcissistic, uninformed, uncaring, lazy and self-centered. These stereotypes are tragically overused and inaccurate. We are the generation of social responsibility. We are responsible for birthing a movement of service-focused entrepreneurship, social enterprise and technological advancement. Past generations created civil disobedience and protest movements to evoke social change. Generation Y has transformed these methods of the past to invoke justice through the creation of youth-led nonprofits, tech startups and a number of other innovations. Nonprofits, including the DoSomething organization, are working to actively combat many negative depictions of my age group. DoSomething supports the advancement of the Millennial generation through volunteerism, entrepreneurship, public service and charitable initiatives. This dynamic not-for-profit has engaged thousands of youth across the United States for two decades. DoSomething has left its imprint on the world through their youth-run community service initiatives including the DoSomething Awards (formerly known as the Brick Awards). As a teenager, I would look forward to VH1's presentation of this award show, and I held a desire to be as selfless and impactful as their honorees. 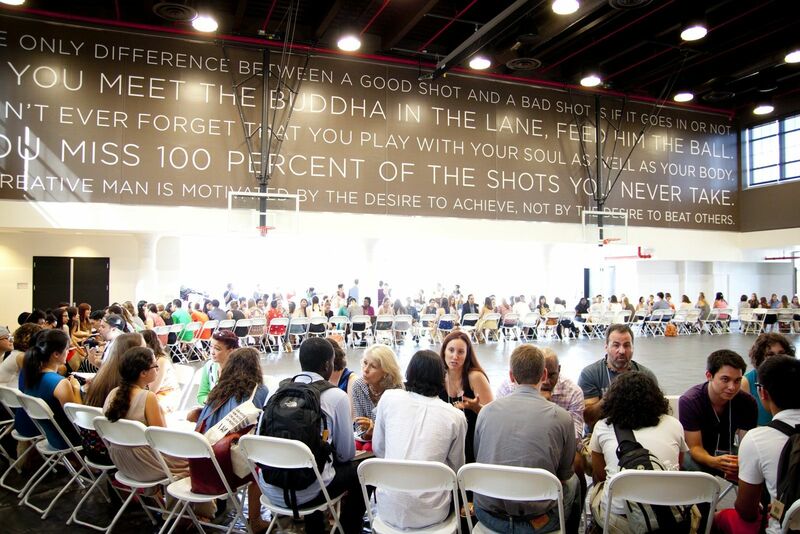 As a student, DoSomething helped put me through college through the We ♥ Action Scholarship Program. That external message is reflected internally too. DoSomething is a young office, most the employees are under the age of 30, and everyone is doing real work, contributing to that purpose. There are few places where you can find such a vibrant and creative team. How could I choose not to work here? People talk about how we need to invest in young people because they're going to be the leaders of tomorrow. The DoSomething philosophy is that you don't have to be old to make change. Young people can step up and be leaders today. It's a philosophy I believe in wholeheartedly. This summer, these staffers organized the 2013 DoSomething.org Boot Camp which brought together over 200 change-makers from across the U.S. to convene in New York City. This organization graciously funded the travel of youth groups through travel scholarships and awarded seed grants to financially support their members' initiatives. This event served as a means for youth to receive training on how to create and develop their nonprofits. The participants were introduced to methods of utilizing social media to enhance charitable support, how to receive corporate sponsorship and techniques for fundraising. Essentially, DoSomething taught attendees how to lead effectively and serve as the next generation of world-changers. To date, they have engaged over 2.4 million youths to take action. The passion behind this type of engagement is the desire to motivate Millennials to get out and actually do something positive for their communities. DoSomething continues to inspire nonprofit organizations including Create for the Cause. The mission of Create for the Cause is, "to serve as a liaison between those who want to help and those who need the help by enabling people to donate time and talents through their creations rather than simply money." This event inspired Create for the Cause Founder Sierra Walsh to launch a fundraising campaign to support their initiative. In brief, DoSomething stands as living proof that the Millennial generation is engaged in shaping an improved society. Instead of criticizing the Millennial generation, partner with them through donating mentorship, time, resources and investing in our growth as young leaders. Invest in us and we will effectively change the world.